Luca is a cute white and fawn male with a black muzzle born approximately April 1, 2009. Since his mom, Katie Anne, was a known stray for at least 8 months, the likelihood of Luca being a lurcher is about 99.9%! 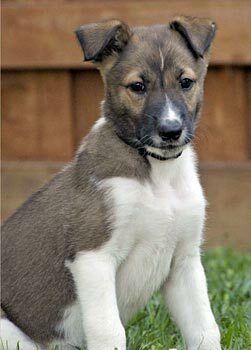 However, all the pups look similar to GALT’s previous puppies at this age.